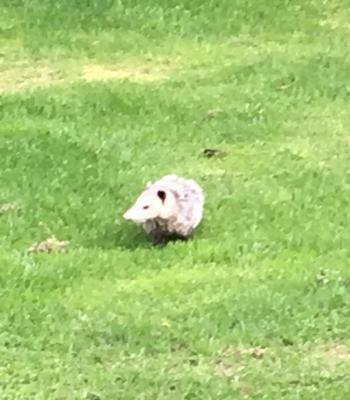 Possum in my backyard yesterday afternoon. He looked injured, and was limping. Thank you for sending your report and picture.